I spent my own money to purchase all the Embark DNA kits I have used, and my experiences with them are not at all influenced. To save $30 on an Embark DNA Test for your own dog, click HERE. To read about Faolan's Embark DNA results, click HERE. Wolfdog misrepresentation has always been a hot topic in the wolfdog community. There used to be groups based solely on this premise. Want to see tempers and opinions fly? Misrepresent the wolf content of your dog or wolfdog, and refuse to listen to any education or criticism about it. 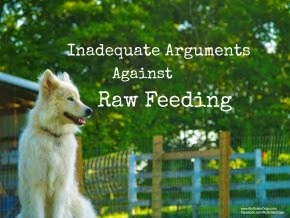 There are many negative consequences of misrepresenting one's "wolfdog." There can be legal consequences, as they are not legal in all localities. There can be consequences of an intense animal falling into the hands of unprepared owner, among other consequences. Courts are using DNA testing of dogs more frequently now. There are several states and localities where it is illegal to have a "wolfdog" be it 90% wolf, or 10% wolf. Improperly labeling an animal that has ZERO wolf content could *potentially* cost that animal it's life if DNA testing is not used. 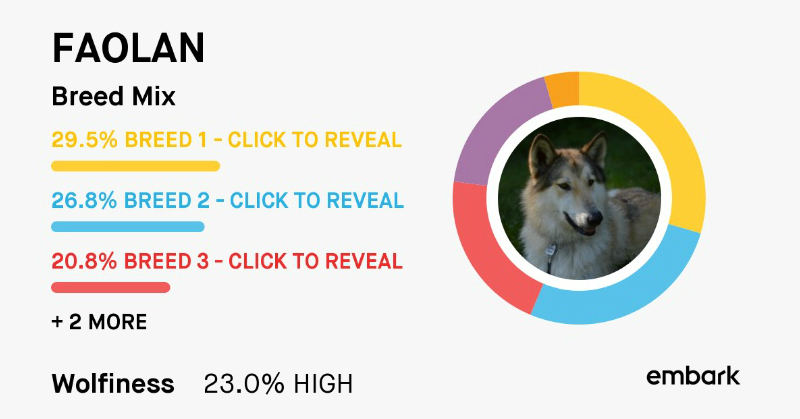 Wolfdogs are typically divided into three different content levels - low content, mid content, and high contents. 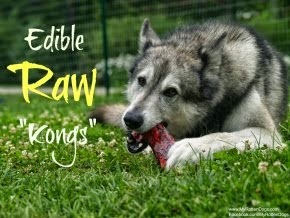 Low contents typically possess mostly dog traits, but with some visible wolf traits. Mid contents should be a pretty even match of dog traits and wolf traits. High contents should display mostly wolf characteristics, with a few dog traits thrown in for good measure. I think my Faolan is a decent example of a low content wolfdog. I adopted Bruce 6.5 years ago from a local Siberian Husky/northern breed rescue. He was adopted out as a Malamute/Husky mix. Though he is a rescue, I was able to track down his breeder, and provided with his lineage. I was told that Bruce was the product of purebred Alaskan Malamute dam and a "high content" sire. I was told his sire was 84% wolf, and that Bruce was 42% wolf. I have always known that Bruce had heavy Malamute influence. I ordered an Embark DNA test. Like Faolan's test, I am again incredibly pleased. I have nothing but nice things to say about the process and the company. It was a smooth process, approximately 6 weeks from sending off the test to receiving results. Bruce's health results came back all clear. I have received his breed results. Big shocker, he is a mostly Malamute. 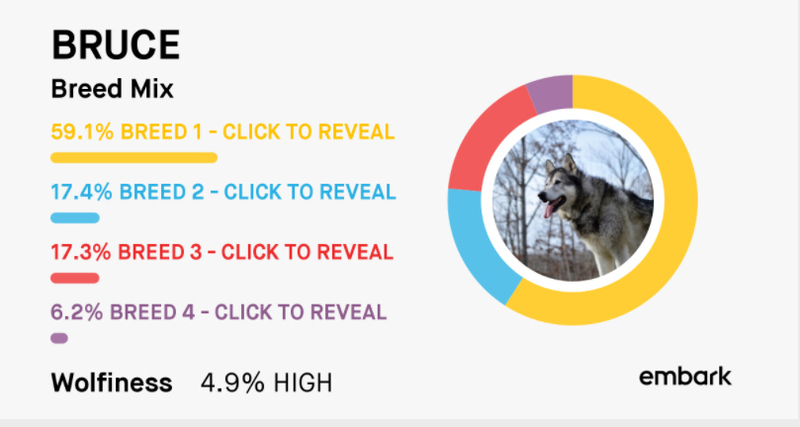 His wolf content (percentage) came back at 1/3 of what he was represented as. He also has some German Shepherd and Siberian Husky present, which is no surprise as these breeds are very commonly present in wolfdogs. Did Bruce's breeder intentionally misrepresent he and his littermates, and their sire? I have no way of knowing. Some who learn that an animal has less wolf content than what they previously believed might be angry, embarrassed or sad. Some become defensive. For some, the amount of wolf present is the most important thing, and this is unfortunate and only about ego. So is Bruce actually a wolfdog at all? Some would say yes, Bruce is a low content wolfdog. Some would say no, he is a dog with recent wolf heritage. To me, it is semantics. No matter what Bruce is, I love him. To view Bruce's actual Embark results, click HERE. Wow, this is an interesting topic. I've been a fan of such dogs from the start and your post just cleared a lot of things about them.